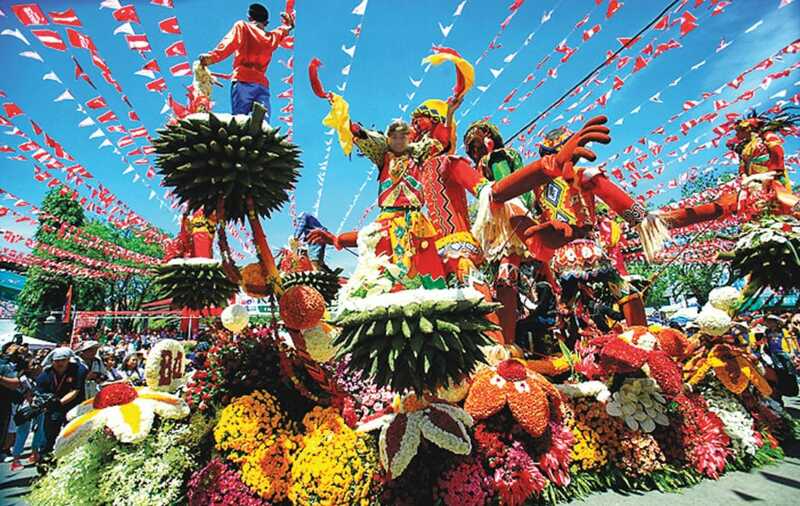 Aside from the long list of travel destinations, the Philippines is also home to the oldest, most vibrant and colorful festivals in Asia. Being an archipelago influenced by several cultures within and beyond the continent, this country has a lot to offer in terms of history, performance art, and culinary adventures in the form of festive and ecstatic celebrations all year round. Most of the Philippine festivals have religious origins mainly because a huge percentage of the country’s population has been baptized as Catholic Christians. 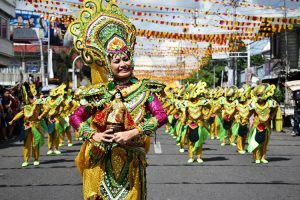 Here are the top nine most popular festivals in the Philippines that you should experience at least once in this lifetime. 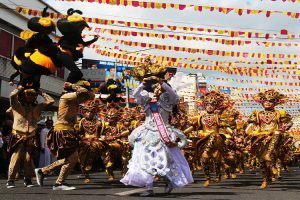 One of the most popular festivities among Filipinos and even foreign travelers is Cebu’s Sinulog Festival, the main attraction to millions of festival-goers every year. The celebration is an act of thanksgiving to the child Jesus, “Santo Niño”. 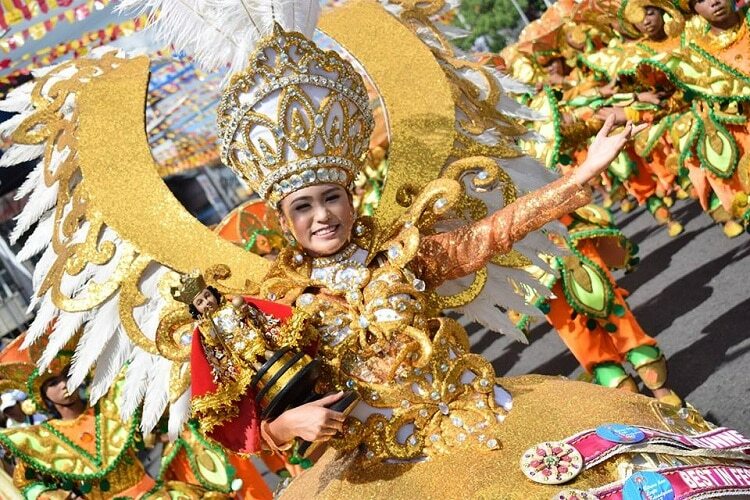 The nature of the festival is so festive and colorful, with performances from cultural street dance groups from the different cities and islands of Cebu as well as from other regions in the country. These groups grace the streets of Cebu City, with crowds screaming their loudest “Pit Señor!”, from the Cebuano word, “sangpit” that means “to plead” to someone – in this case, to Señor Santo Niño. Sinulog is held every third Sunday of January. Also known as Baguio’s Flower Festival, the Panagbenga is a festivity that centers on a festive thanksgiving for the year’s bountiful harvest, especially for the city’s flower industry. The festival is celebrated annually with celebrations held during the entire month of February, the most perfect time of the year for their blooming flowers. 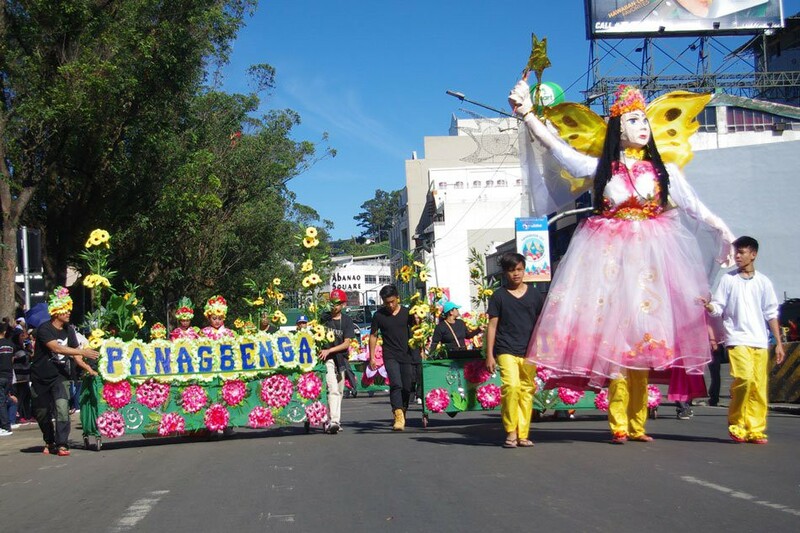 The people of Baguio started celebrating Panagbenga in 1995 after a devastating earthquake ruined the entire city and nearby provinces. 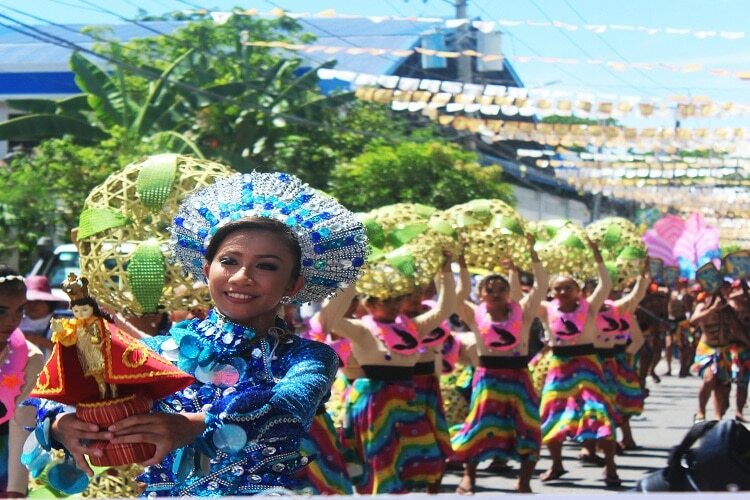 Today, exciting events such as a street parade, tours to beautiful gardens, band performances, and the most famous one, the parade of floats designed with the freshest and most colorful blooms and flowers. 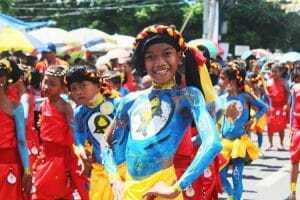 Held every 29th day of June, the Pintados Festival celebrates the bravery of ancient island tribesmen as well as the rich cultural history of Leyte. 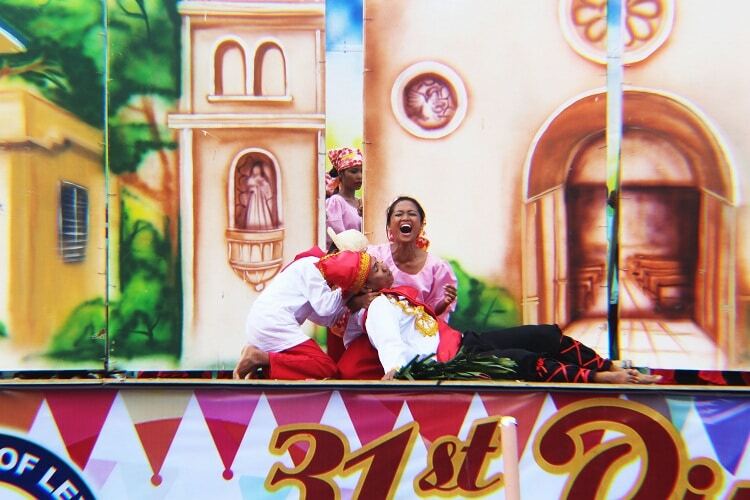 At the same time, this celebration is also a thanksgiving day to Santo Niño, the holy patron of Tacloban City. Just like other festivals with religious and cultural themes, Pintados is a solemn and unique event where culture and religion merge, producing a festivity of graceful dances performed by “painted” warriors and princesses (Pintados actually means “painted”, specifically tattooed warriors from Philippine history), celebrating life and pleading to Santo Niño for blessings and bountiful harvests. Mindanao is home to the most beautiful and culturally significant regions in the Philippines. 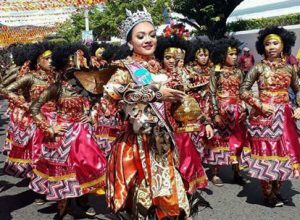 One of their festivals, Kadayawan Festival, celebrates the rich and colorful tribes of exotic Mindanao (every third Sunday of August). It is also a form of thanksgiving for the regions’ bountiful harvest for the season. Kadayawan is derived from the word “Madayaw!”, an expression used as a friendly greeting, which translates to “good” or “beautiful”. From street dancing, fireworks display and a parade of floral floats, this fun, and the unique festival has a lot of interesting experiences to offer. Held every third Sunday of January, Aklan has their own unique cultural festivity that attracts millions of festival-goers every year: the Ati-Atihan Festival. 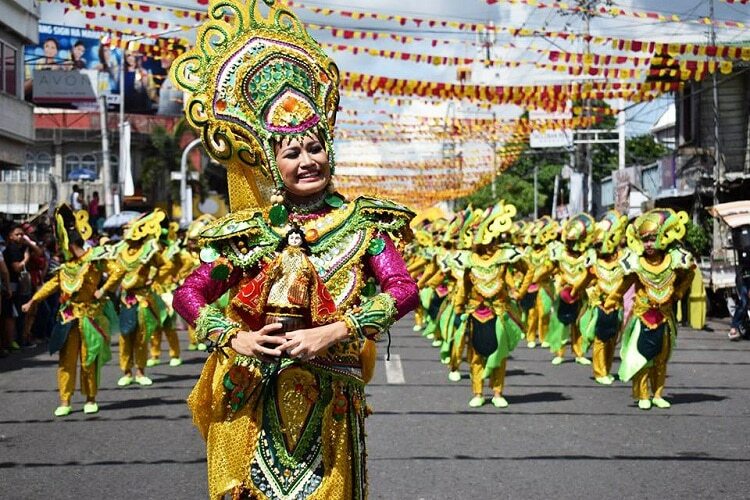 According to historians, it is one of the oldest and also recognized as the biggest festival in the Philippines. The week-long festival has a lot of activities lined up but the most awaited is the actual dance and street parade characterized by the most interestingly bizarre and “frenzied” performances. Dancers and performers wear their indigenous costumes and paint their faces with culturally symbolic patterns and designs. 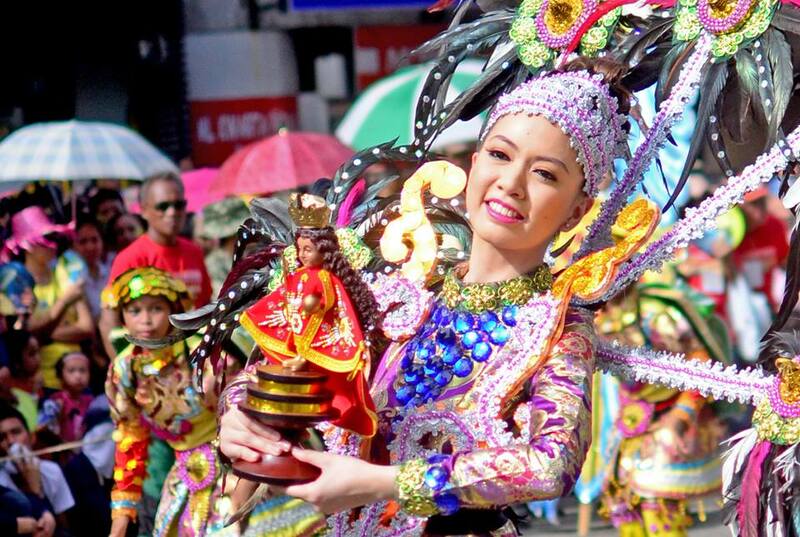 Iloilo City always looks forward to the fourth Sunday of January for the Dinagyang Festival. 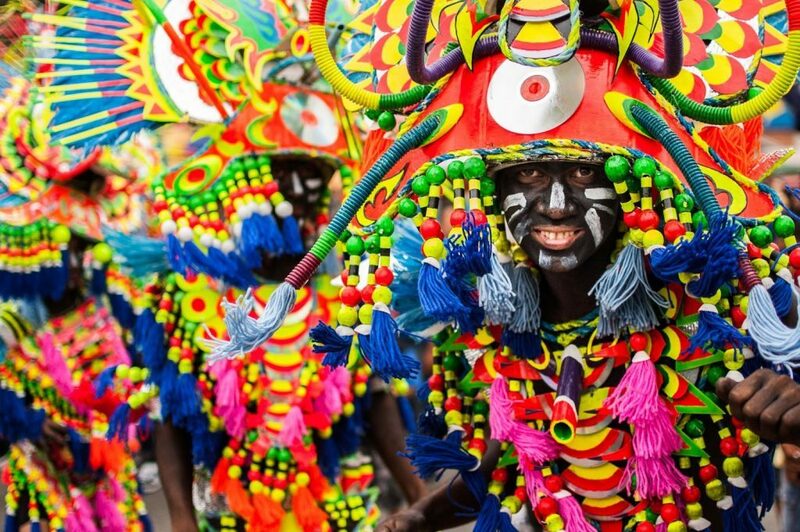 The city welcomes millions of tourists and festival goers to a city-wide dance parade where different tribes from the region come together and share a culturally significant celebration among their fellow islanders. 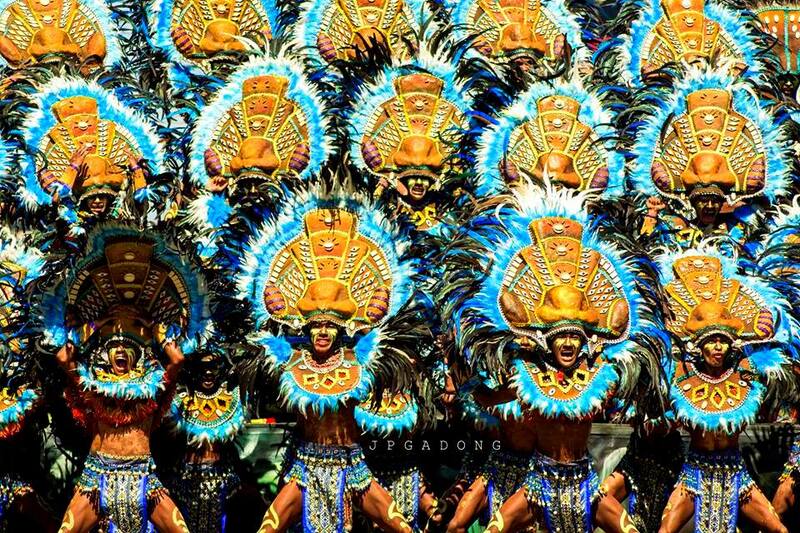 Dinagyang Festival may not be the largest but it is one of the most unforgettable festivals, collecting several awards such as the highly sought-after recognition as the Best Tourism Event in the Philippines. 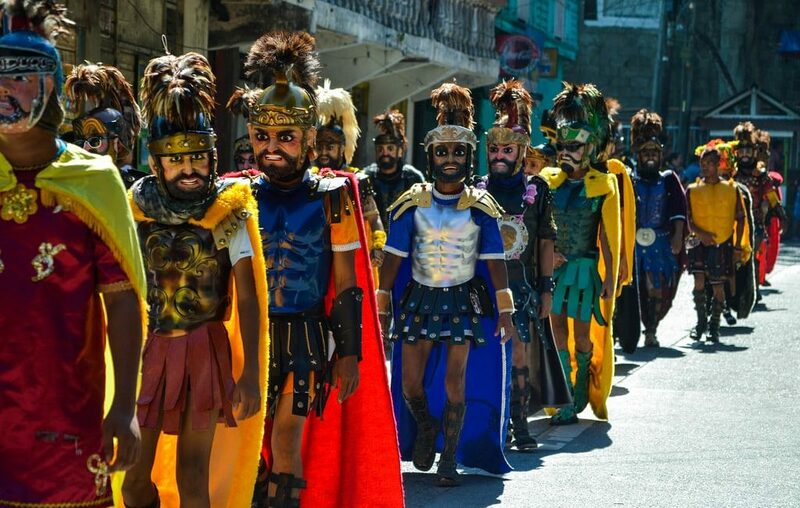 Celebrated every first week of April (from 2nd to 7th day of the month), the Moriones Festival of Marinduque remains one of the most mesmerizing and fascinating festivals in the country. 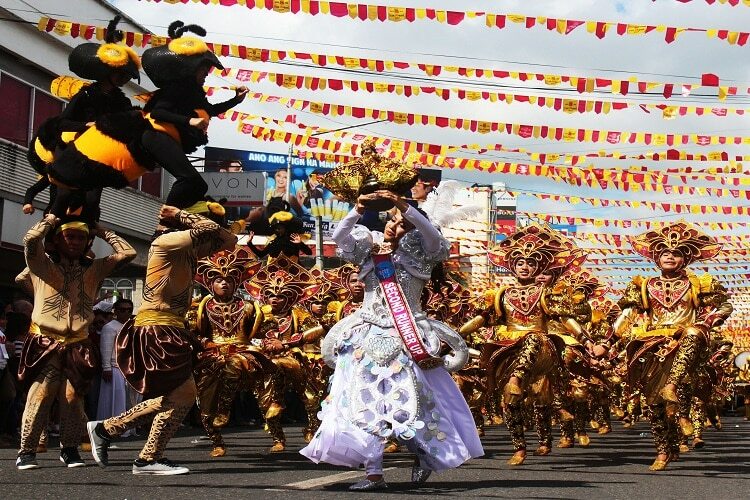 Thousands of people even flock to the same province just to witness the centurions in costumes parading the streets. Performers wear helmets, also known as “morion” masks and armors to reenact the hunt for the Roman soldier who later on became a saint. The festival is basically inspired by the events during Christ’s road to crucifixion. Unlike other Philippine festivals that are quite festive, the Moriones Festival is a solemn celebration and thanksgiving for the gift of life and grace of forgiveness. 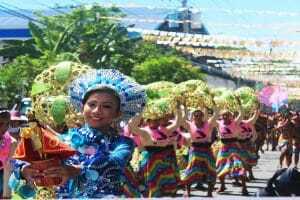 While other Philippine festivals have dance parade and tribal performances as their highlights, Pahiyas Festival is a one-of-a-kind celebration of culture, colors and fresh produce. 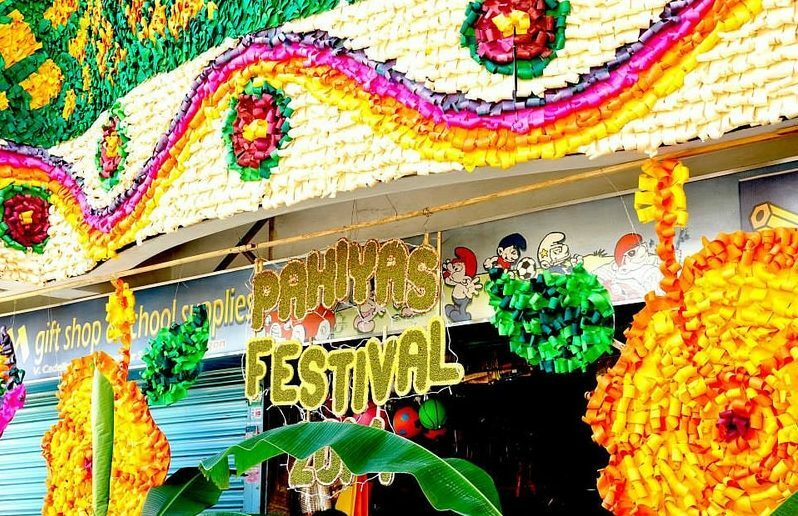 Basically, it is a type of a harvest festival where locals adorn their houses in colorful – and not to mention edible- decorations. Families and homeowners compete for the title of having the most beautifully-decorated home, but the true essence of the festivity is centered on the bountiful harvests of the season. Vegetables, edible decorations, and even unique delicacies can be seen around town. The best part is? You can grab any vegetable decors and fresh produce for free. 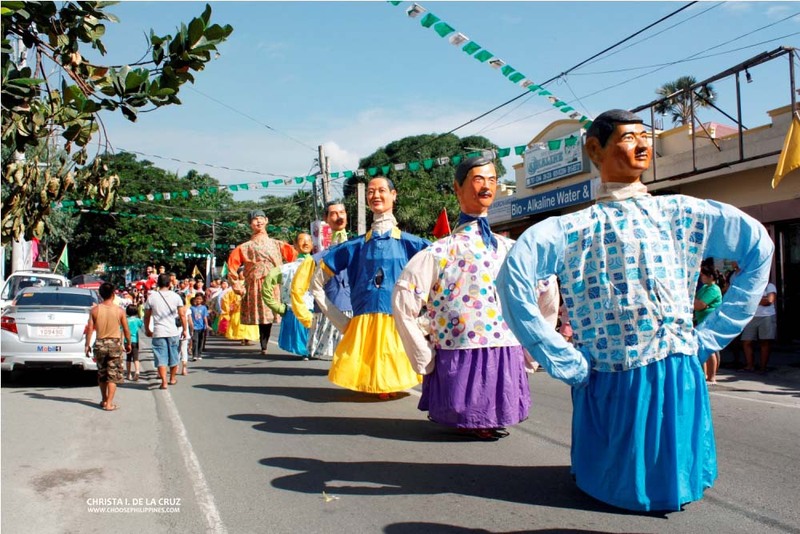 Higantes, which literally translates to “giants”, is a rather one-of-a-kind festival in Rizal’s town of Angono. Although it revolves around a religious theme, the parade of giants held every 23rd of November is an artistic and creative representation of the local’s creative and fun-spirited nature. Giant statues made out of paper can reach up to ten feet in height and 4-5 feet in diameter. 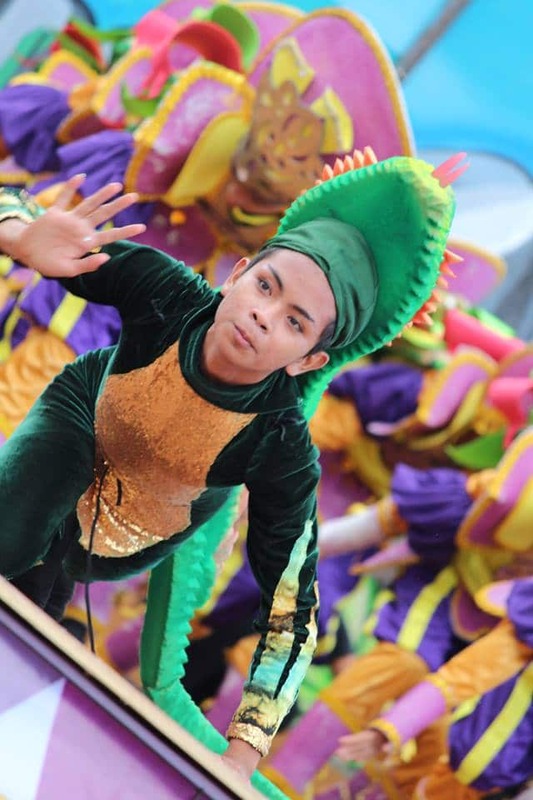 The street parade is directly followed by a fluvial procession in Laguna de Bay. The most genuine way to fully experience the rich cultural heritage of the country’s varied regions is by experiencing these festivals. Now that you have the dates and the destinations, perhaps it’s time to check your calendar and finally book that plane ticket. Have fun! The Pintados Festival in Tacloban Cty is a Filipino Festival with its own unique flavor. It recalls the Pre-Spanish history of the native Leytenos from wars, epics and folk religions. The most expected aspect in Pintados is the festive dancers, painted from head to toe with designs that look like armor to resemble tattooed warriors. 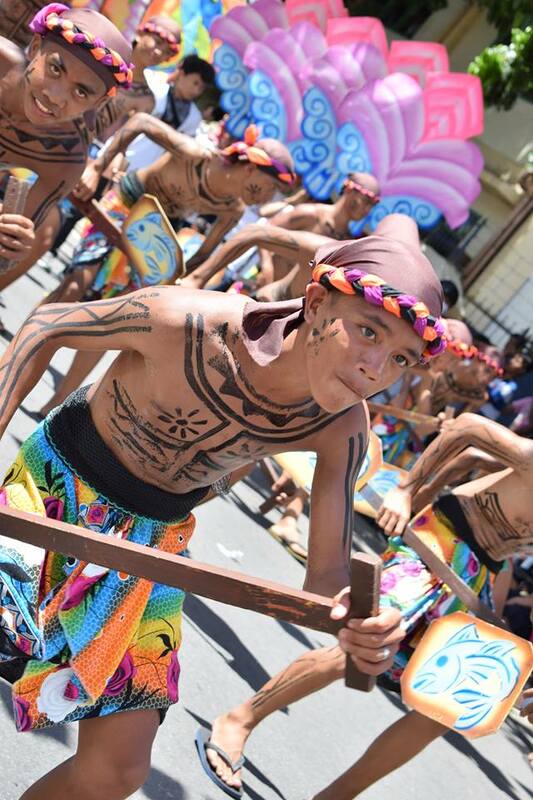 This year, the Pintados Festival once again showcase the unique culture and history of the people from Eastern Visayas. It is one of the local traditions of the province that celebrates the ageless art of body painting. So I am here to bring you all over the event by experiencing the Pintados Festival. A boy with ageless art of body painting. It was 27th of June, around 7 am when I and my boyfriend went to Grandstand for the Pintados grand parade. I can see a lot of people roaming around the area and there were also police officers securing the place. And since we have an I.D. it was easy for us to enter and exit the vicinity. But as usual it didn’t start immediately; it was around 9 a.m. when the parade started. Contingents at the Grandstand while waiting for the parade to start. The procession started at Grand Stand going to Ninoy Aquino Avenue, Paterno Street, Sta. Cruz Street, Juan Luna Street, Avenida Veteranos, Real Street, Justice Romualdez Street, Rizal Avenue, and then back to Grandstand. Under the heat of the sun, the different contingents in an amazing array of colors fill the streets of Tacloban City. At first sight, they may seem outrageous as grown men pour into the streets decorated in such dazzling colors as luminous blue or neon green. But as one gets used to this and sees the dances depicted, one gets a glimpse of the history of the people that once lived on the islands of Leyte so long ago. Despite of the heat of the sun, the sweat, the exhausted feeling dancing all over the street, I can still see each of them smiling without any hesitations. And though I feel like I’m a dead beat that day, while taking pictures of them. I still enjoy experiencing the music, the parades, and the warm atmosphere of a fun, local festival. Around 10:30 a.m. the parade is over, the contingents were about to prepare for the program and ritual dance which will start at 1:00 p.m. So, we decided to eat our lunch first before going back to the Grand stand. After taking our lunch, we witnessed different ritual presentations from the contingents. Joining the festivals from the Leyte province were the Lubi-lubi festival of Calubian, Buraburon festival of Burauen, Tolo-Usa festival of Tolosa, Buyugan festival of Abuyog, Sanggutan festival of Barugo, Kaplag festival of Mahaplag, Maisayaw festival of San Isidro; Ibid festival of Caibiran, Biliran province, Patiklos festival of Sta. Rita, Samar, and Tribu Mangirisda of Tanauan , Leyte. 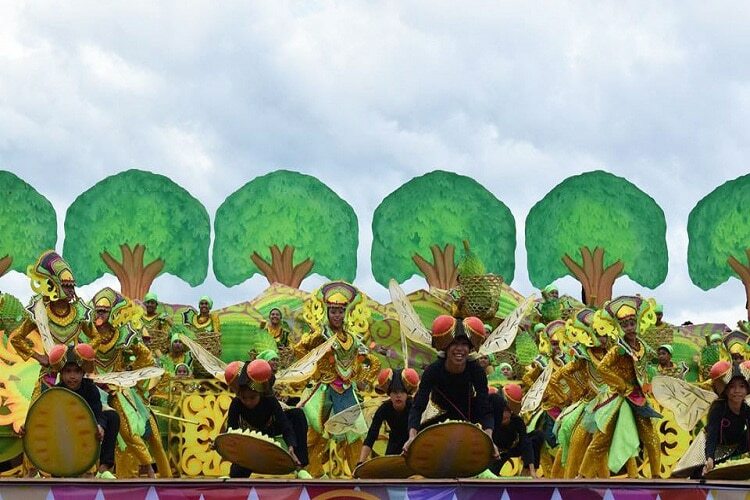 Seven competing contingents are from Leyte, one from Samar and one from Biliran and while all contingents were bursting with their energy, massive and colorful props that completely filled the streets as well as the basketball court sized stage. Contingents were bursting with their energy, massive and colorful props. 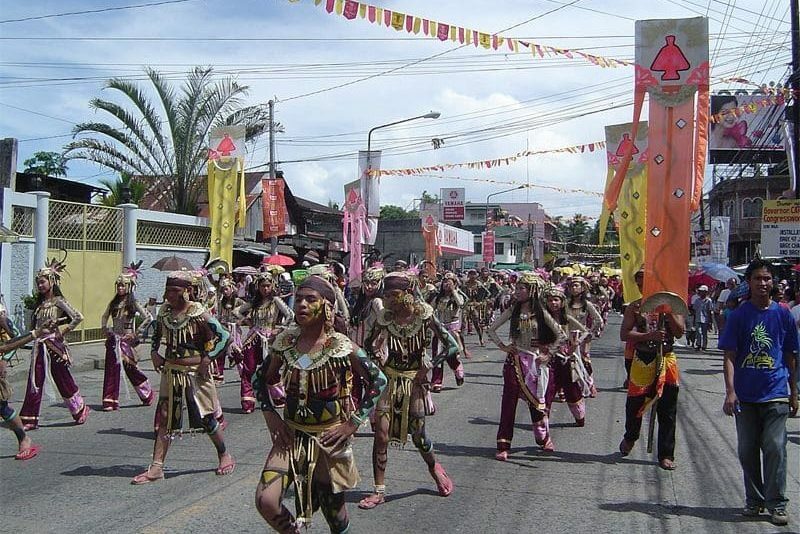 Ibid festival of Caibiran, Biliran province. This year’s Kasadyaan competition was won by Buraburon festival of Burauen with P750. 000 cash prize. The second place went to Buyugan festival of Abuyog with P500, 000 cash prize, while the Sanggutan festival of Barugo was the third place winner with P250, 000 cash prize. All the participating contingents will also receive P 50, 000. The superior story line, dance execution, and set designs of Burabon Festival stood out and earned the nod of the judges. 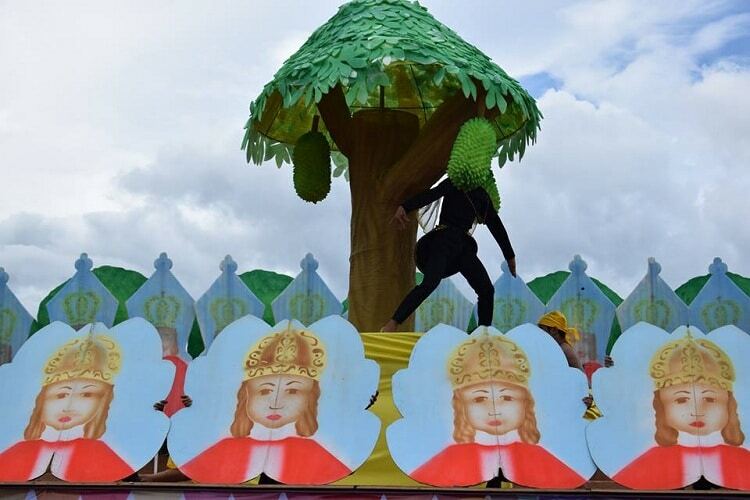 Huge and larger than life images of the Senior Santo Nino de Tacloban were the common props of the participants that expressed the adoration and filial piety of the Leytenos to the Señor Santo Niño. 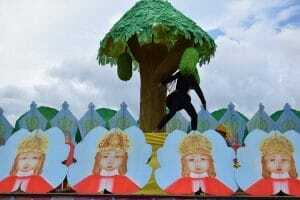 Huge and larger than life images of the Senior Santo Nino de Tacloban. Meanwhile, Kasadyaan which means “merriment” in the Visayan dialect plays an important role for it strengthens the sense of pride and portrays the local folklore and legends of the municipality. 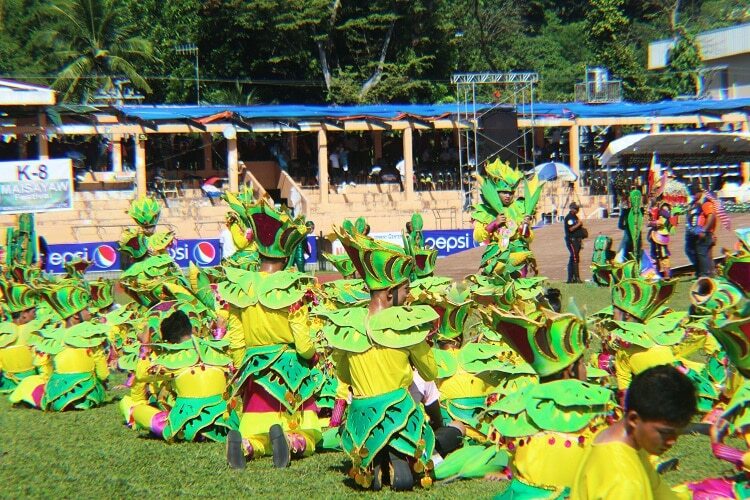 This marked the beginning of the Pintados Festival, which was first celebrated in June 29,1987. 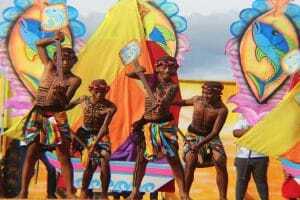 In 1995 the foundation started the Leyte Pintados-Kasadyaan Festival and was henceforth called as the “Festival of Festivals.” Little did they know that they were laying the groundwork for making the festival a national cultural event depicting the rich cultural past of Leyte and its colorful customs and traditions. 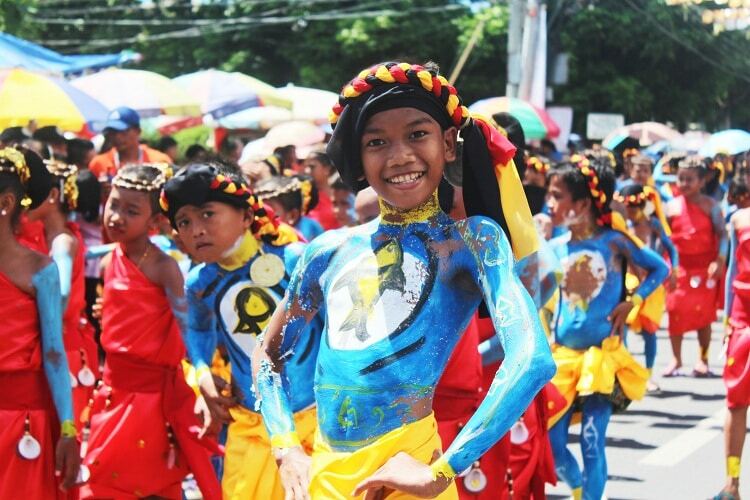 The Pintados Festival managed by Pintados Foundation, Inc. was formed by the people of this city in celebration of the feast day of Sr. Santo Niño. Years later, it was merged with the Kasadyaan Festival chaired then by now mayor Petilla.